A fun way to hang up your coat, bags or keys with this wall mounted double coat hook. 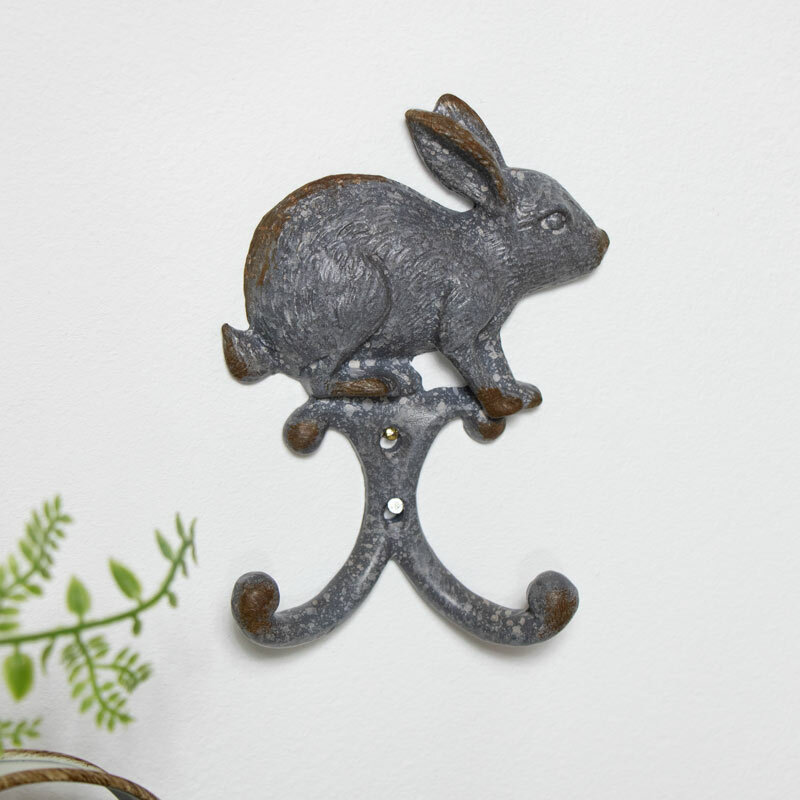 Featuring a grey rabbit in a rustic design. With sturdy double hooks for extra hanging space, this is ideal for hanging in the kithcen, bathroom, hallway or utility room. With even more wall hooks to choose from in single, double and multi hook designs. A fun way to hang up your coat, bags or keys with this wall mounted double coat hook. Featuring a grey rabbit in a rustic design. With sturdy double hooks for extra hanging space, this is ideal for hanging in the kithcen, bathroom, hallway or utility room. With even more wall hooks to choose from in single, double and multi hook designs. Made from iron in a distressed grey finish. Easily wall mounted with holes for 2 screws (not included). A fantastic addition to our growing range of gifts and accessories, with something to suit every decor.